Want to find your dream client? Whereas a crappy client drains your time and resources, a dream client invigorates and excites you. The former is a disease; the latter is a blessing. 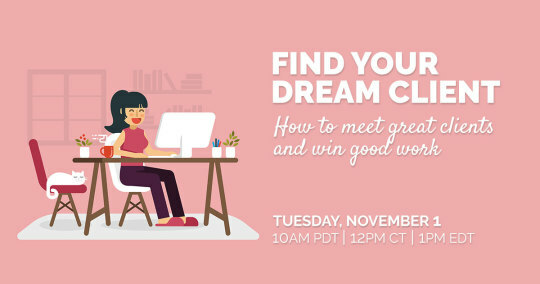 We’re hosting a webinar on finding your dream client – and avoiding clients from hell – on Tuesday, November 1st at 10am PDT. That’s not all: if you follow the advice in this webinar, you will never have to deal with a client from hell again. Previous entry "Could you make our website more famous than Google?"